Fire Emblem Heroes, Nintendo’s free mobile strategy game, released yesterday afternoon in the U.S. Instead of actually playing the game, many are finding themselves repeating the opening sections over and over again, in the hopes of cheating the system a little. You see, Heroes is a Gacha game, meaning it is full of random potential Fire Emblem characters that can be added to your party. “Summoning” heroes into your game requires “Orbs,” an in-game currency. You can earn Orbs by playing through the game normally, or you can purchase them. The more Orbs you have, the more you can summon, and the more you summon, the less the next summon costs—so there’s incentive to summon a bunch of heroes in one go. Fire Emblem Heroes grants you free orbs at the start of the game, allowing you to pull a handful of characters from the get-go. This is where things get messy. People don’t want to recruit whatever characters they can get. People want good characters, with noteworthy stats. Like the RPGs before it, Heroes assigns characteristics such as Attack, Defense, and Speed, but these numbers are totally random—you can get two of the exact same heroes, at the same level, with different stats. Heroes also come packed with differing degrees of potential growth, equipment, and abilities, all denoted by stars: a one-star Tharja is not the same as a five star Tharja, basically. 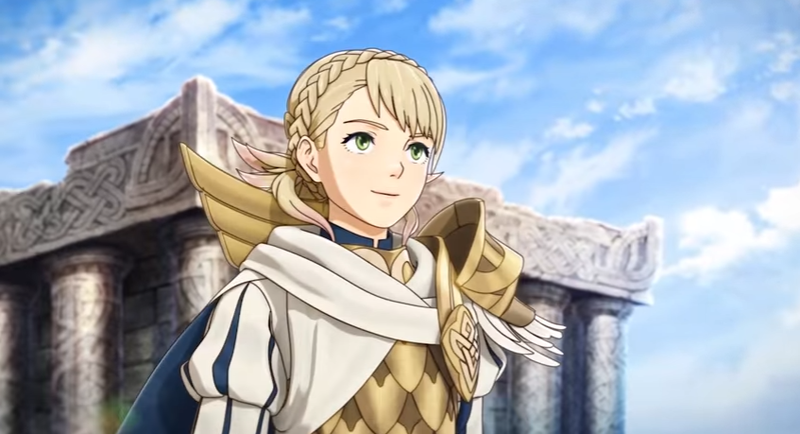 Over the years, fans have grown fond of specific Fire Emblem personalities, which they’ll want to pull during summoning in Heroes. And it makes sense, really: nobody is about to get psyched about a random character from a game they’ve never played. If all of this sounds exploitative, it kinda is. The system is designed to entice you into spending more Orbs for the characters you want, but the chances of getting a desired character are low enough that many will be tempted to spend money just to improve the odds. I for one didn’t realize this was possible, and am too far into my current game to try it—but admittedly, I would have been tempted. Momma needs Camilla!